Bangalore 20th July, 2017 : Paytm now enables customers to get their cashback as Paytm Gold. This will combine the spending & saving experience with an asset that is close to the hearts of Indians. Paytm Gold bought from MMTC-PAMP is stored in their 100% secure insured lockers at no additional cost to the customer. The company aims to encourage the habit of saving each time they spend, thus achieving long-term wealth creation for its users. Accumulated gold can be delivered or sold back to MMTC PAMP instantly. Launched in April, Paytm Gold has been attracting thousand of customers, making the platform the country’s largest jeweler in terms of footfall within days of launch. More than 60% customers are choosing to buy and accumulate gold according to their budget instead of selling or requesting delivery, without worrying the heavy fees for gold storage in physical lockers. To accelerate this rapid adoption, the company is now servicing all pin-codes, making the product available at every nook and corner of the country. This will enable every Indian, irrespective of location and income level to save in Paytm Gold. Paytm Gold has made it accessible for every Indian to buy, store and sell pure gold instantly. The product has witnessed huge interest across cities and towns from Burdwan, Dhanbad, Warangal, Kanchipuram to Delhi, Bengaluru, Hyderabad and Kolkata. 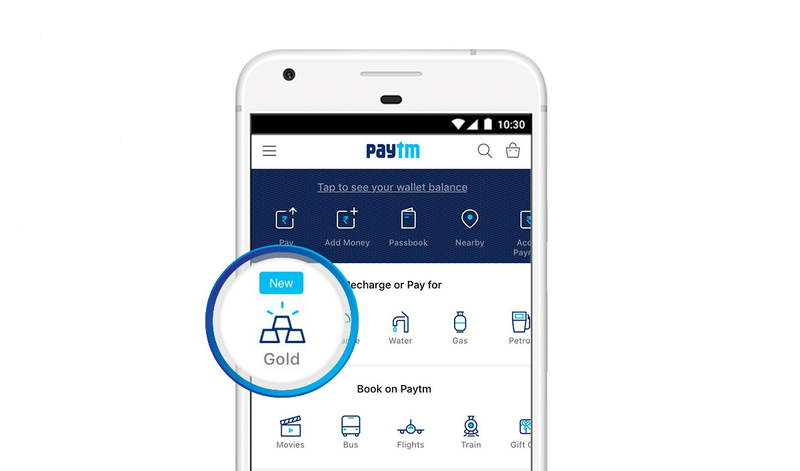 Customers at more than 8,000 pincodes have chosen Paytm Gold as their preferred savings instrument. On the Paytm platform, customers can buy 24K 999.9 Gold from MMTC-PAMP (India’s only Internationally Accredited Refinery) instantly and store it in the country’s most secure, 100% insured lockers at no additional charge. Consumers can buy gold for as little as Re. 1, democratizing access to a wider set of customers as it will make investing in gold more affordable. Paytm is India’s largest mobile payment & commerce platform. With the current user base of more than 225 million, Paytm is on a mission to bring half a billion Indians to the mainstream of the economy using mobile payment, commerce and recently launched Payment Bank. Paytm is founded by Vijay Shekhar Sharma, and is the Consumer brand of India’s leading mobile internet company One97 Communications. Paytm is headquartered in the National Capital Region, India. The company’s investors include Ant Financial (Alipay), Alibaba Group, SoftBank, SAIF Partners and Mediatek.